Storage is likely to be as much a part of your moving experience as cleaning or packing, especially if you find that your new location isn’t ready yet; that’s where Family Moving & Storage can help. Our storage services will elevate your nerves, knowing that your items are packed and stowed in a safe location until they are needed again. Our storage facilities can fit a variety of belongings, from common, household items, to a full corporate office arrangement. With Family Moving & Storage, you benefit from the personal attention that comes with both our moving and storage services, as our expert knowledge of both needs will help to make your long-term transfer a success. Honest numbers and no hidden costs. Same day service and no extra charge for weekend moves! A guarantee of the safety of your belongings while being transferred and stored. Various packing services are also an option. 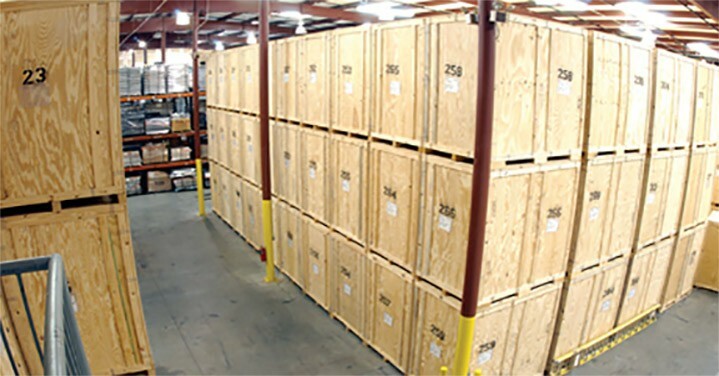 We offer full-service or fragile packing and custom crating. Offering both flat rate and hourly rate options. We will work with you to determine which rate plan makes the most sense for your storage needs. When you are once again ready for your items, it’s a matter of a simple phone call to Family Moving & Storage. We can transport your items directly to your home or office within a timely manner and even a tight budget. Our storage services help to make your relocation that much easier and hassle-free.